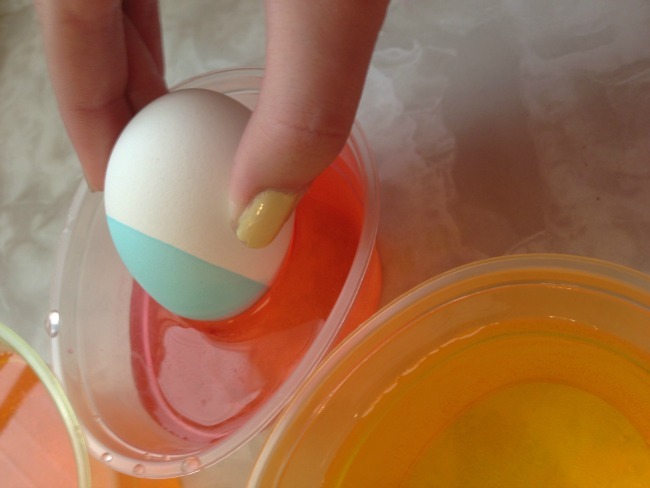 splendid actually: easter egg time! 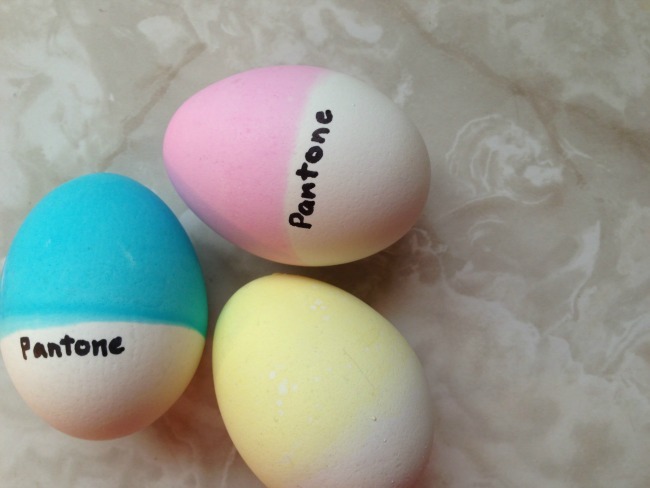 color eggs is a tradition i just can't shake. back when i was a wee one my siblings, cousins, and i would gather around the table that was covered in newspaper with a dozen eggs each. the boys would always fly through their dozen quickly so that they could get back to donkey kong on the super nintendo... boy those were the days. the three of us girls are the only ones who really continue the tradition any more but honestly, i would do it by myself if i had to. here are some of the eggs i did last weekend just because i wanted some eggs boiled anyway. 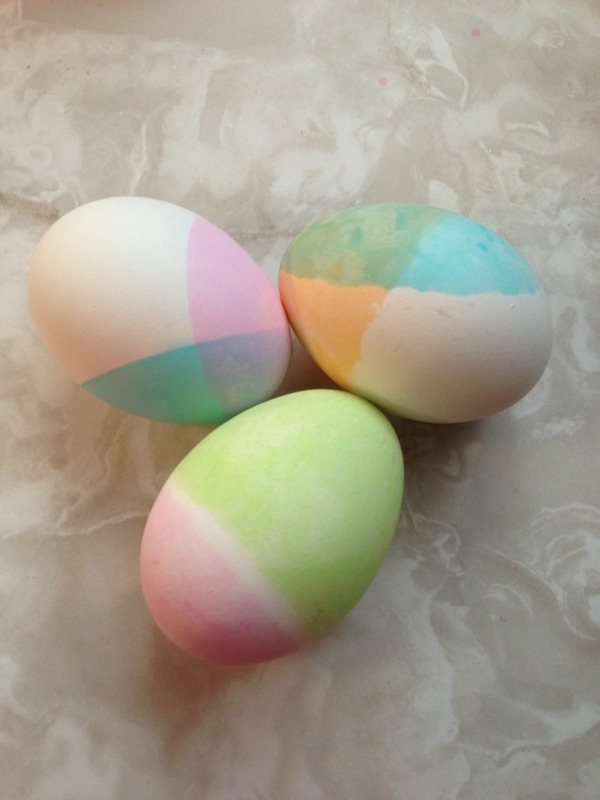 the dip dye eggs are my favorite. 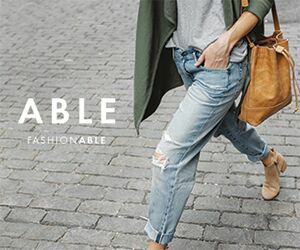 i love the watercolor look they have to them. this pantone idea came to me while i was dip-dying. the blue one made me think of a pantone chip so i couldn't help by release my inner design nerd and add the little label. 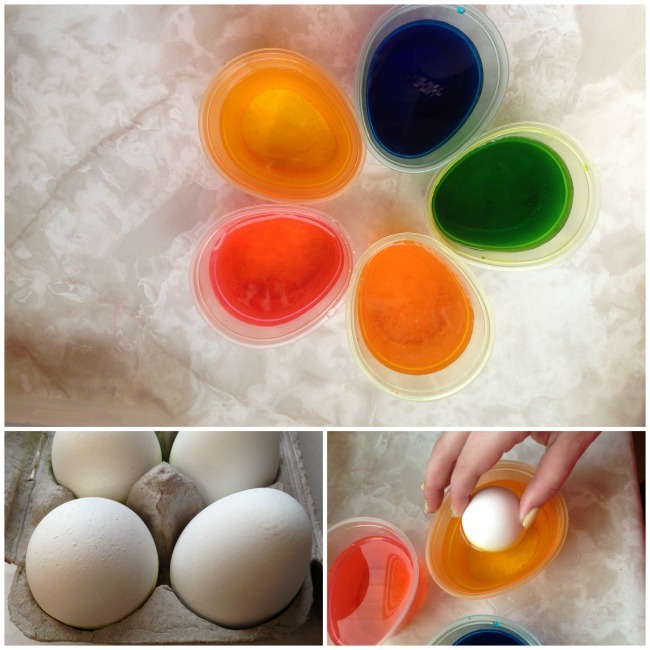 to get a textured look mix your water and dye with a bit of vinegar and leave the egg in for a short amount of time. 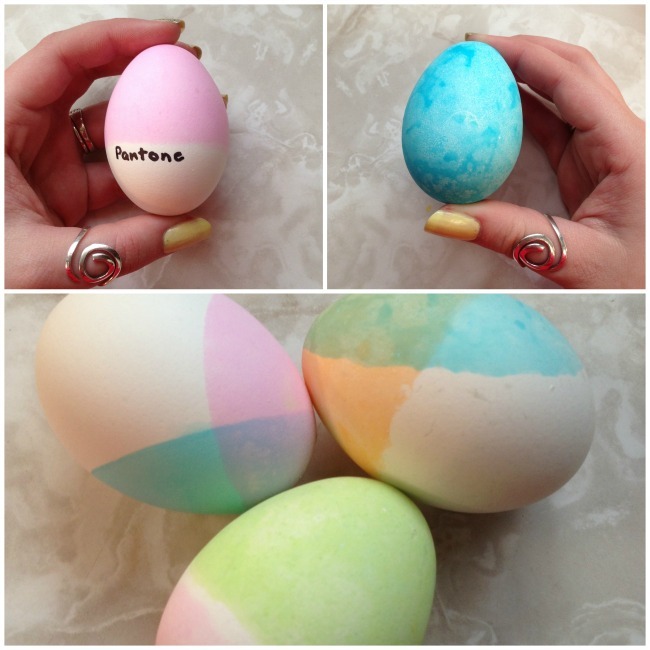 the result is a pretty marbled look like you see in the blue egg in this top photo. Okay you are creative and mention super nintendo...we must be friends. Very soon. haha thanks jacy! yes, let's do it!